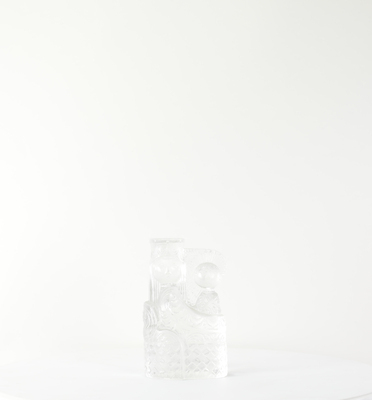 Heavy glass statue of the Madonna and Child. This statue is part of the Cecil and Desha Coil Statue Collection donated by Helen Zechar. U.S. and international copyright laws protect this library resource. Commercial use or distribution of the resource is not permitted without prior permission of the copyright holder. Please contact the Marian Library to inquire concerning available permission to use the library image.